Ann has been actively involved in the community such as Team Captain for the Woman’s Golf Assoc. 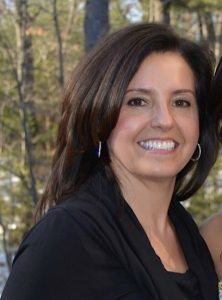 of MA Spring Teams, Essex County Youth Soccer Coach, High School Cheerleading and Soccer Boosters serving as VP and Chairperson organizing fundraising events, fundraising committees for preschool and elementary school education funds, and elementary school room parent organizer. She was also a Team Manager for a club soccer team; including such duties as management, treasurer, uniform coordinator, tournament registering, communications, and maintaining all records. Ann has been Golf Club Champion and Couples Club Champion for many years at Ipswich Country Club. She is actively involved in golf and has overseen and organized many tournaments. 1991-Present Curns, Vernet & Associates, Inc.